Cozy is a state of mind. 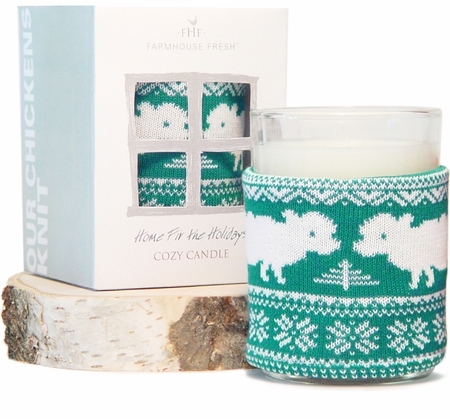 Holiday sweaters are on display this year, with our knit-adorned candles. 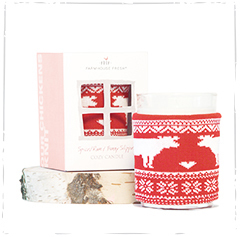 Fill the room with crisp Fraser fir pine, while lighting up the conversation around this adorable holiday delight. The robust holiday scent is truly a fresh slice of the holiday with the heady, aromatic scent of a fresh-cut Fraser fir. 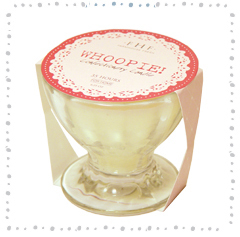 This candle is made of a soy-blend wax, and a phthalate free scent that provides up to 50 hours of fragrance delight. Oh what fun it is to gift this yuletide season! This season I purchased this one, and loved it. I plan to purchase more candles for year round, use at my house and gifting. Whole house became wonderfully fragrant. Love, love, love it.